You should always be looking for ways in which you can grow your company. Growth is so important to any business. In the beginning, it might be slow and steady. But as the years go on your should notice a nice increase in your sales, which in turn will boost your profits, which in turn will boost your growth. But, there will always come a time where things sort of level out, and you don’t really think you’re making any progress or growth. This is where you need to put in the effort and do a big push for growth. But a lot of you out there just won’t know what to do in order to achieve that. Well, we’re here to help you with that. There’s so many different angles you can go from to try and improve things, here is just a few of them. Marketing is a hard thing to grasp for a lot of people. There’s a lot to learn, and for the most part, you’re not going to have a clue what you’re doing. But, if you’re a small business you should always be using marketing to push for growth. It is one of the main ways in which you’re initially going to get yourself noticed. If you’re a really niche business, the marketing is going to be even more important to you. It’s going to be so hard to reach the specific people you’re needing to reach. Unlike a more mainstream business, you’re not trying to target a huge audience. For example, if you ran a company like a managed service provider, you’re only going to want to be reaching a tiny pool of people, most likely business owners. So, you’re going to need the help of people who know exactly what you’re aiming to do. Companies such as Pronto Marketing could be exactly what you need. The same goes for any other niche business, try and hunt down companies who work with your specific field. It is always best to hire a professional as understanding marketing can be a bit tricky. If you’ve got to a good point with your business, but you don’t feel like you’re getting any further, why not expand into a new area. 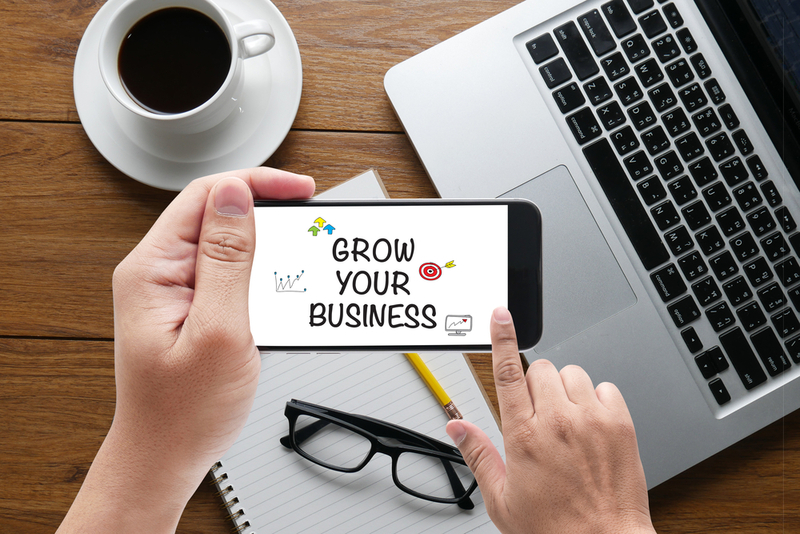 You can still run your old business, but a new venture might be exactly what you need if you want to get that growth. You don’t even need to expand to a new area, you could just design a new product, or create a new service for your customers to enjoy. For example, Apple don’t just sell mobile phones. They sell laptops, iPads etc. They’ve branched out and created multiple products to give them a billion-dollar profit margin. But, you’re obviously not going to get to their level any time soon. The point being made is that sticking to one product isn’t always going to be the best for your business. You can also expand in terms of your team and your location. One small team in one small base is great, but why not think about taking it international? The world has so much to offer, so sticking to just your home country could be the very reason you aren’t seeing the growth you would hope to. Yes, going international is a big step. You should really only be considering it if you have the money and logistics to do so. But the world really is your oyster when your business starts to feel a bit of success. If not, you could think about expanding nationally. The more offices or warehouses you have, the more staff you can employ, and the more sales you can make. Sometimes a bigger team is the key to success. Sometimes you just need to consult a few people in order to know what the right thing to do is. There’s so many other business owners that will have become stuck in the same rut that you feel you’re in. There is no harm in speaking to them and asking them for advice on how to progress. If it is financial reasons that you’re not moving forward, then your best bet is to speak to a financial advisor who deals with issues within a business. They might be able to give you the key knowledge you need that will switch your finances up and boost your business to success. Those are some simple ways in which you can make sure you’re pushing for growth, all you need to do is have the patience and focus to do so.